Would you like to add your announcement? Please click here. I have taught in Morrone from 1946 to 1966 and many of my pupils are scattered all over the world and have lots of news of their successes. In some shape I hope of being able to increase the acquaintance by writing varies articles publishing it to you from several newspapers always in order to praise the loved Country. 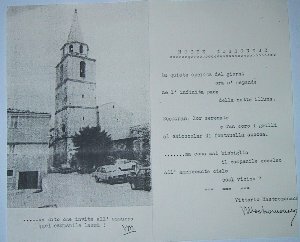 Beginning with sending to you one of my poetry written in a night of relative summer to the bell tower a photo and copy of original found below. Greetings and aspect to hear from you. 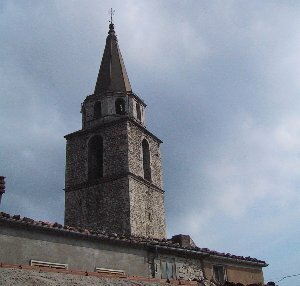 AL CHIOCCOLAR DI FONTANELLA ASCOSA.